The human body contains 206 bones, each one essential in its way to the proper function of the body as a whole. When one or more of these bones are fractured in a personal injury accident, the results can be catastrophic and life-altering. 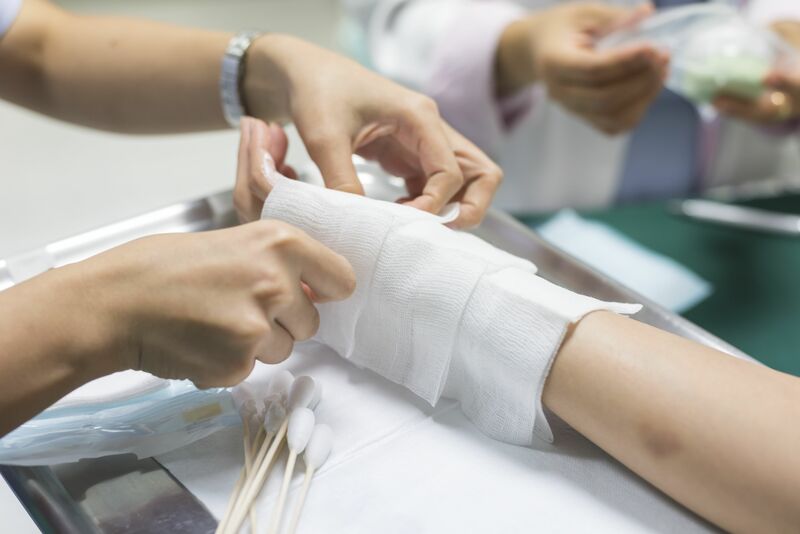 While some bone fractures are relatively straightforward and heal without major incident, more complex fractures can leave victims without proper use of their limbs or other parts of their bodies for a lifetime. When such injuries occur as a result of someone else’s negligence, victims may be able to recover compensation for their losses and expenses by filing a personal injury claim. At Foley Law Firm, our team of personal injury attorneys has extensive experience and a history of success in handling cases of all types involving bone fracture injuries. If you have a case involving a personal injury accident and bone fractures, our Scranton, PA lawyers can provide you with the skilled, aggressive representation to obtain the full measure of representation to which you are entitled. Simply contact Foley Law Firm today to arrange for an evaluation of your case. Open fractures: Open fractures refer to fractures in which the end of a broken bone pierces the surface of the skin, thus becoming exposed. This is also called a compound fracture. Simple fractures: This type of fracture involves just a single break to the bone. This is a type of complete fracture, meaning that the bone is entirely broken and not simply cracked. Comminuted fractures: This type of fracture involves at least two breaks to the bone. Again, this is a type of complete fracture. The bone is either left in three or more separate pieces or is, in part or in whole, crushed. Stress fractures: This type of fracture, also called a hairline fracture, does not involve a complete break of the bone, but rather a crack. This crack is usually caused by repeated stress on a bone. Greenstick fractures: Greenstick fractures are incomplete fractures that are most commonly sustained by children. This is a type of impact fracture, meaning that it occurs as a result of a sudden jolt, as in an auto accident. Car, truck, motorcycle, and other motor vehicle accidents. Slip-and-fall, trip-and-fall, and other accidents that occur on unsafe premises. Construction and other workplace accidents. Violent attacks and sports accidents. Elder abuse and nursing home accidents. Whatever the cause of your bone fractures or the bone fractures of your loved one, our personal injury attorneys have the skills, resources, and tenacity to handle your case. To arrange for an evaluation of your personal injury case involving bone fractures, please contact Foley Law Firm today.